Lean Management principles have helped to optimize many businesses. 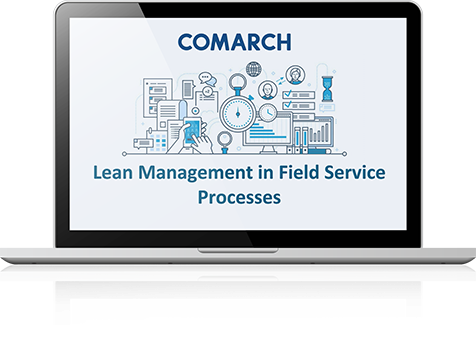 How can these practices be applied in field service processes? To find out, we recommend viewing our webinar. The speakers, Adam Otta, Manager of the Dispatcher Unit at Orange, and Szymon Uczciwek, Head of Comarch Field Service Management Consulting, share their 10 years-plus experience this area. In our webinar, we explain the use of this globally applied lean methodology. We provide helpful examples as guidance for service businesses.